This list screams the word DOCTRINE (or THEOLOGY). Until recent times I would have run a mile from a book like this. I'm a practical person - I like the concrete rather than the conceptual. The closest I have ever come to having a nervous breakdown was when I was preparing to sit the exam for the doctrine unit in the Moore College correspondence course. So why would I or you or anyone read a book like this? 2. The chapters are short - an average of ten pages each, some shorter, some longer. I always find short chapters a comfort when I am having to really concentrate. Seems to make it more achievable. And each chapter stands alone. 3. These are important biblical themes. And some of them are not easy to grasp. 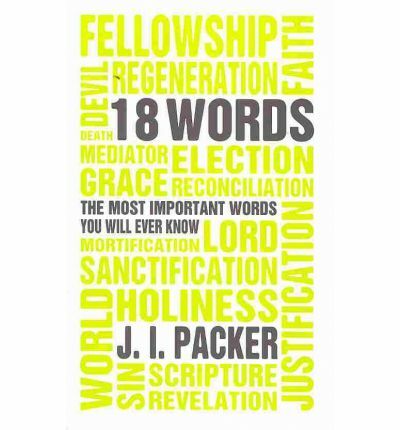 But Packer provides a clear explanation with lots of examples and Bible references. 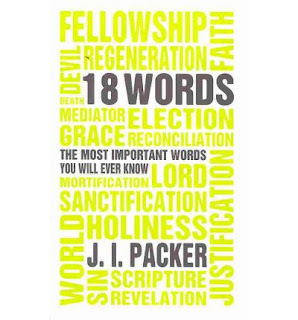 Granted they are summaries - Packer describes them as sketches - but they are a good start if you are grappling with (or want to grapple with) any of these topics. all that I have written here. This is a book of applied theology. The mediator is a familiar figure in modern industrial and international negotiations. The pattern of events that calls for his services is increasingly common. Things get tense; both sides feel there is no common ground for continuing the discussion; then one walks out - and at once a mediator has to be found to go to and fro between the estranged negotiators trying to bring them together again. The mediator is thus...the man inthe middle. He has links with both sides; he sympathises with both, and both trust him. He serves the cause of justice, peace and goodwill. His job is to represent each side to the other and find a basis for restoring their friendship. The mediator Packer talks about is Jesus. I know in my head that Jesus is our mediator but I don't think I'd thought about this in such stark terms before. So that was interesting. The chapter on election was brilliant - a fairly long and measured introduction cutting through all the fear, arguments and misconceptions that abound around this topic, followed by the clearest and most uplifting, humbling explanation of election that I have ever read. Packer tackled the chapter on the devil quite differently - straight in with both gloves on. His writing was direct and frank. This is a great book. I am planning on reading it a few times - once a year for a few years to come (and you can check my reading list as the years unfold to see if I do and hold me accountable to this) - until some of these trickier subjects sit clearly and comfortably with me...and I don't feel like I have to run away from all things theological and scary! I hope that the following sketches of biblical themes (they are no more) will subserve the Spirit's double purpose of constantly leading us to love and adore the Christ of the Scriptures, and to amend our lives by their light. I think he achieves his aims. This is a really good book.